" BRAND NEW ROOF INSTALLED 5/2/2018! Located on a quiet cul-de-sac, this elegant colonial home is sure to impress. Enjoy almost 4,000 sq ft of living space which has been newly renovated w/ 2 fireplaces, hw floors throughout the first floor, an absolutely stunning kitchen & a finished basement perfect for entertaining. The eat in kitchen has tile flooring and back splash, Quartz counter tops, a wine cooler, ss appliances & a small desk area. Upstairs, there's a large master bedroom w/ a walk in closet, make up area & nice en suite bath. Find 3 more bedrooms w/ large closets & carpeting. Relax on the expansive Trex deck w/ a built in bar, planters, seating, a chimineya & an awning. The yard is professionally landscaped & the backyard resembles a park setting w/ plenty of privacy. There's a 2 car garage w/ a work area & central vac. 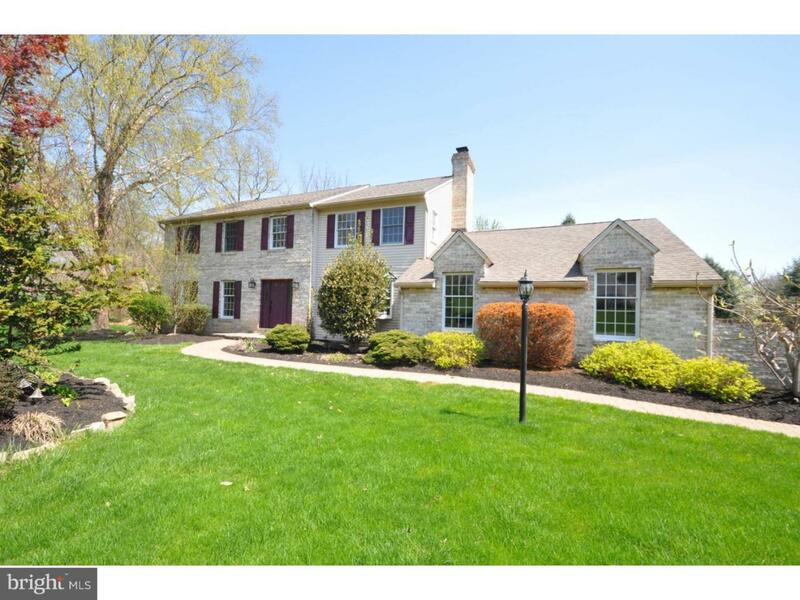 Just minutes away from Rt 78 & 309, & close to Stabler Corporate Center & many restaurants. Schedule an appointment today!"